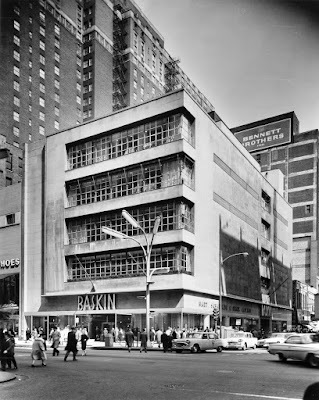 August 19, 1946 – Construction begins on the first major building project in the Loop in nearly a decade as a five-story building that will be occupied by the Baskin Clothing Company is begun. The new store, a design by Holabird and Root, is expected to be completed by May 1, 1947. The whole building will be air-conditioned and long strips of glass block will be featured on the Adams Street side of the structure. Exterior walls will be of Indiana limestone with a strip of polished granite framing the building from the roof line to a recessed space above the shop windows. An entire floor will be devoted to women’s wear with men’s wear taking up the second and third floors. Office and tailor shops will be placed on the top floor. 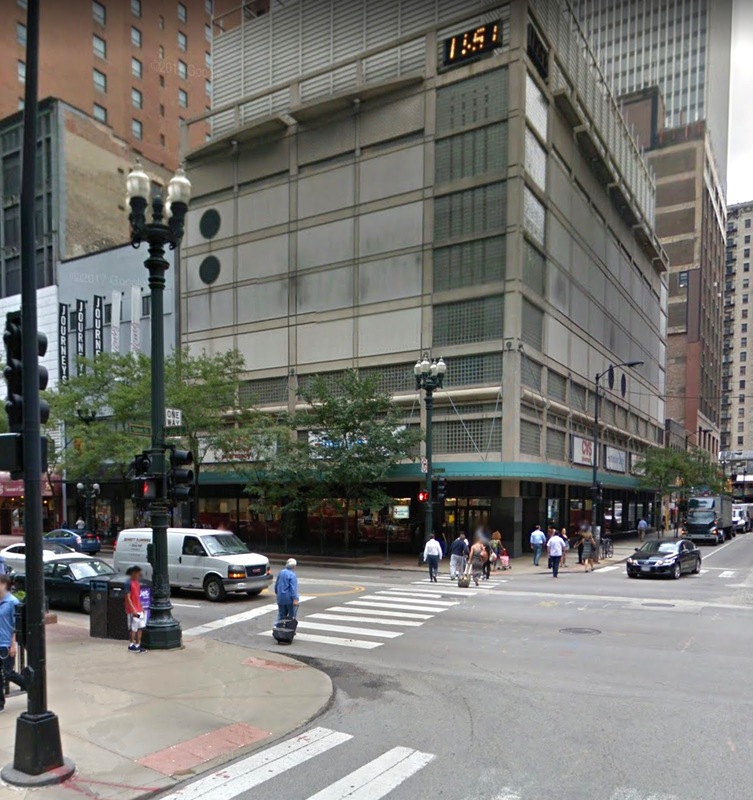 The new building will have a frontage of 76 feet on State Street and 148 feet on Adams Street. The top photo shows the Baskin's Store at 137 South State Street. 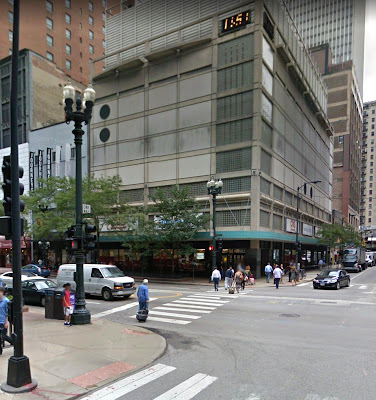 The corner as it appears today -- with an EnWave Chicago cooling plant atop a C.V.S. drugstore -- is shown in the photo beneath that. August 19, 1963 – Imagine this one happening today! Coast Guard officials detain five men and a woman aboard a 75-foot boat after the leaking boat is stopped at the Chicago lock because it has no safety equipment and is judged to be unseaworthy. After removing the crew from the boat, officials discover 500 pounds of dynamite on the top deck and remove the leaking vessel to a point 1,000 feet offshore. Miss Kiiri Tamm, 21, one of the crew members, tells officials that the group planned to use the dynamite to blow up a sunken barge off Eighty-Third Street in an effort to salvage the metal, which they hoped to sell in order to start a salvage firm of their own. 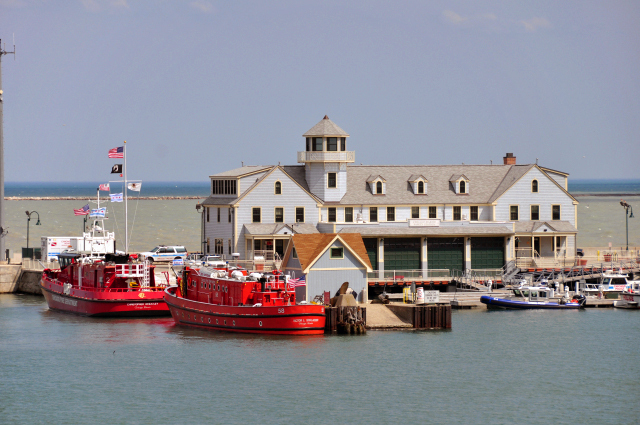 The bomb squad removes the explosives and the boat is returned to its berth at Goose Island. Is the Baskin building still under that modern facade? Or is that a new building?